Continuing our “Focus On” series at Maid for Portland, in this post, we’ll focus on one of our favorite cleaning tools: Baking Soda. 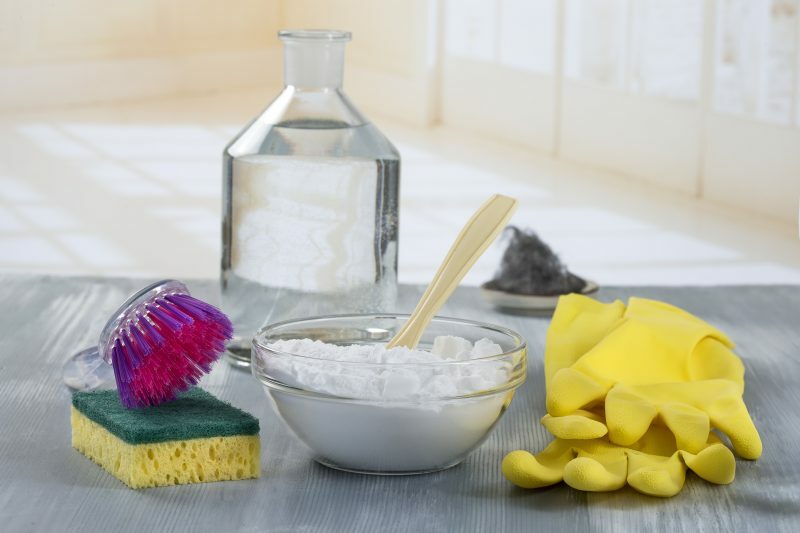 Baking Soda (or sodium bicarbonate) is one of the most versatile and easy-to-use cleaning products. It is a non-toxic and highly effective cleaning agent that can be used in a plethora of ways around the house. It naturally neutralizes PH which makes it a great deodorizer. Baking soda is a winning combination of safe, effective, and affordable. There are practically endless ways it can be used to freshen up a home. Here a few of our favorites. Baking Soda is a gentle abrasive that can be safely used on just about any surface. Try sprinkling it on a damp sponge to bring new life to your countertops, stovetop, bathroom tile, sinks, and tubs. It does wonders in the microwave as well. Give your arms a break and save time by using baking soda to remove stuck-on food and grease. Try shaking a generous amount into hot water with a little bit of dish soap. Allow to sit for 15 minutes before scrubbing. This trick helps to de-clog drains as well. Pour ½ cup baking soda in the drain, then add ½ cup white vinegar. Let sit for 15 minutes then pour warm water to wash down the residue. Don’t want your apple slices to taste like garlic? Because baking soda is a food-safe cleaner, it can be used on cutting boards to eliminate odors. Remember what your coffee pot looked like before it was stained? Use a solution of ¼ cup baking soda in 1 quart warm water. Try soaking overnight for stubborn stains. You can also remove stains from your mugs by sprinkling baking soda directly on them, then scrubbing with a damp sponge. One of the more commonly known uses of baking soda. Place an open box inside your fridge and freezer to neutralize food smells. Remember to replace with a new box every three months. Baking soda helps remove odors from carpets and rugs. This use is especially helpful if you have pets. Sprinkle where needed and allow to sit for 15 minutes, then vacuum. You can brighten up the entire bathroom with baking soda. Try mixing ¼ cup with 1 tablespoon liquid detergent. Add vinegar to give this mixture some extra power. This solution works great for removing mildew. We hope you’ve enjoyed these tips about Baking Soda from our Focus On series. Whether you’re looking for one-time or occasional cleaning projects, or a regular assist to keep your home or office fresh and sparkling, you can count on Maid for Portland. Contact us for an estimate or to schedule an appointment for your clean new future!